Originally built in 1966 for H.D. Lee Jeans, the 1900 Shawnee Mission Parkway building began with a team of usual suspects. Karbank Real Estate Company was contemplating the renovation and expansion of the recently completed Barney Building when the 1900 Shawnee Mission Parkway building came up for sale. Steven Karbank immediately engaged Tim Jonkman and his firm to visit and analyze the project site. The existing building’s defining architectural features included precast concrete “tulips” that became an iconic identifier of the building shell, along with the curved stone exterior wall along 51st Street. Upon further discussions of the interior travertine marble walls, Mr. Karbank discovered that the original 1965 blueprints for the building planned for an additional 3rd floor. The two gentlemen decided they must see the original plan through and add the 3rd floor. The 1900 Shawnee Mission Parkway building is the finest example of Class-A Office/Mixed Use in greater Kansas City. 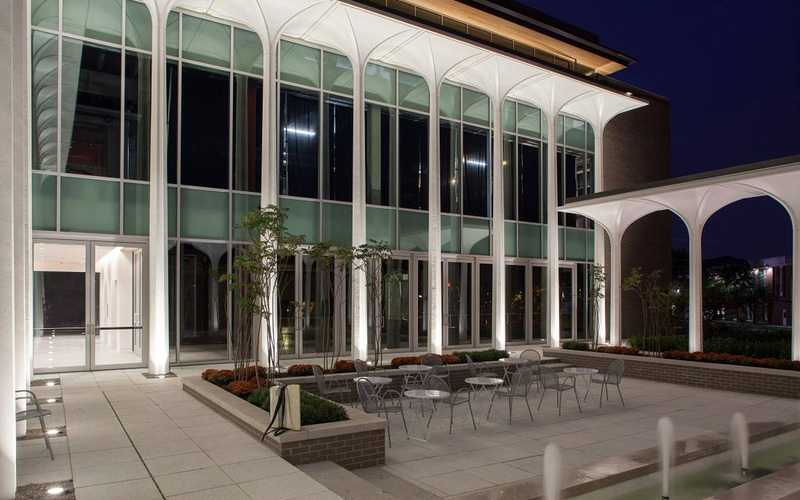 Included within the walls are state of the art performance, conference and event spaces including The Parkway Room and Rose Hall, each of which the Jonkman Construction team was commissioned to construct. 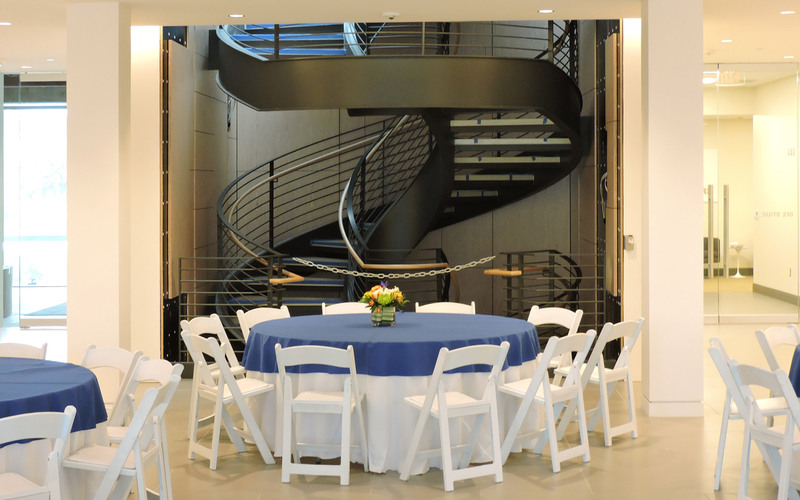 The custom designed and built curved steel staircase was inserted with precision into the heart of the building. Beyond the stunning elevations of the building itself, the panoramic views and unobstructed exposure for building tenants is second to none. The 1900 Shawnee Mission Parkway building achieved LEED® GOLD certification (core and shell) by the U.S. Green Building Council in 2014, along with numerous other local and regional awards.